A virtual high school education is an incredibly viable option in this day and age. Students across the globe that are of all ages can enjoy strong, independent diploma programs that are well-accredited and include exciting opportunities to engage with other students, faculty members, and school partners. Whether students are looking for a curriculum that is founded in the teachings of Christianity, or one that is unaffiliated with religion, there are numerous options available for all. Online high school programs have an enormous amount of flexibility, yet most involve hands-on, interactive learning experiences that broaden one’s horizons and interests significantly. Or, if a more structured and synchronous program is desired, there are options available for every individual. The following online high schools were chosen based on their exemplary successes in providing a high quality, easy to use educational platform for everyone choosing to continue their high school studies via the online route. Most of the schools listed below allow transferred in credits from other schools but have a minimum amount of credits required from their school in order to graduate. Florida Virtual School offers a stunning K12 program that pairs digital learning with individualized attention, and there are over 30 student clubs to be a part of. Students have one-on-one learning experience with instructors, and can contact them via phone, text, email, and more. Coursework is well-suited to homeschool students and otherwise. College and career-minded individuals will find challenging classes at this online school that provide an excellent foundation for undergraduate academia. FLVS is well-decorated and recognized as one of the finest online high schools in the country where students will find an inspiring home. Course Flexibility: Year-round enrollment and 24/7 course accessibility. 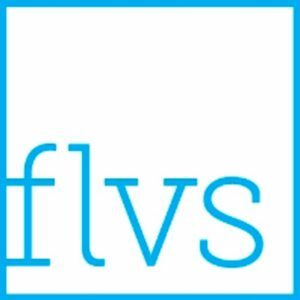 FLVS high school students must complete 24 credits for a standard diploma, including credits in mathematics, English, science, social studies, and arts, as well as electives. To earn a diploma, students must earn at least 23.5 credits in the Upper School (9-12)—one credit for each 36-week course and a half credit for each 18-week course. 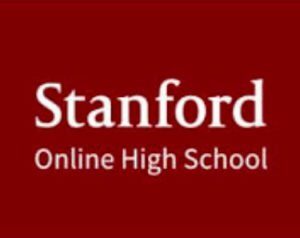 Offered through the renowned Stanford University, this online high school experience gives students an excellent college preparatory education. One of the nation’s first independent online high schools, this curriculum invokes the same passion and rigor as the college-level courses themselves, emphasizing critical thinking and depth of knowledge rather than rapid acceleration through the program. Students develop personal and inspiring relationships with teachers who are available to connect (virtually) for any reason, and in this way are a part of a “close-knit and vibrant community” including students, instructors, staff, and parents. Course Flexibility: Synchronous, real-time online video conferencing. Students must take and complete an equivalent of 20 full-year courses, or 200 units, in English, Math, Natural Sciences, Social Sciences, Foreign Language, and Elective Courses. Indiana University has been included on innumerable lists of the finest online programs in the country, and since 1999 has offered a high school diploma program that has been awarded numerous times for its excellence in distance education. Students engage in a global virtual learning community which provides a high-quality education and diverse classrooms. The rigorous and outstanding program involves a standards-based curriculum and a vast range of student support services. Graduates from this online high school consistently score above state and national averages on standardized tests and are accepted into prestigious colleges and universities throughout America and the world! Students must complete at least 40 (47 for Honors) credits in various subject areas, which are determined by the type of diploma earned—the general education diploma, the college prep diploma, or the academic honors diploma—with a cumulative GPA of 3.0 or higher. 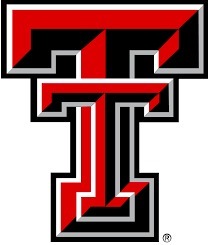 The Texas Tech University High School program offers a compassionate learning environment that gives online students a huge amount of benefits and opportunities despite their individual educational goals. Curricula are designed for homeschool students as well as traditional school students, or those who are seeking to complete elementary school through high school entirely online. Students work at their own pace to complete a wide and exciting range of coursework and have the opportunity to graduate early. Since 1993, the TTU program has brought over 378,000 students from 67 countries, making the virtual classrooms incredibly diverse and interesting. International partnerships also give students a great foundation for continuing their education in colleges and universities across the globe. Course Flexibility: Self-paced—students have up to 6 months to complete a course. Graduates must have completed at least 22 credit hours, however it is highly recommended to complete 26 credit hours for the Distinguished Plan. Students myst also complete required graduation assessments (TAKS or STAAR/EOC). This outstanding online high school system at the Whitmore School is designed to identify and nurture one’s strengths and achievements through an individually-paced mastery learning approach. Students work closely with teachers, counselors, and tutors throughout their educations, which gives them a strong understanding of the content of the coursework, as well as a well-founded sense of time-management, effective communication, independence, and responsibility. Students can complete the Diploma Plus Program which includes more in-depth and rigorous opportunities, as well as further access to resources. Whitmore has received numerous awards in 2017 naming it one of the absolute finest online high schools in the country! 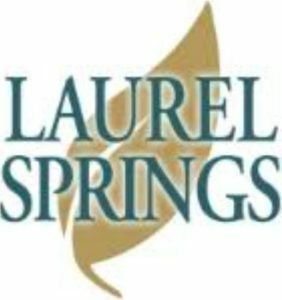 Students must choose between the General Studies track (18 credits) or the College Prep track (22 credits) with required courses in English, Social Studies, Science, Math, PE, Speech, and Electives. 4.5 credits must be completed with Whtimore School. Mezzo Online is another distance education institution that has received glowing recognition for its achievements in academia, and offers online students fantastic options through the virtual high school. Customizable and flexible, the curriculum gives students two diploma path options—Standard Path or College Prep Path—that are influenced by a research-intensive flagship university. State-of-the-art coursework is channelled through high-tech programs that can be completed at full-time and part-time paces. A streamlined curriculum allows for credit acceleration and coursework expansion. Graduates of this fine program are incredibly well-prepared for college preparatory exams and enter into esteemed undergraduate programs. 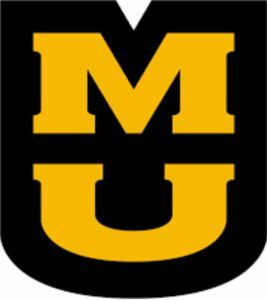 Students must choose between the Standard Path (24 credits) and the College Path Diploma (25 credits), with at least 10 credits completed at Mizzou Online. Several graduation examinations are required as well. 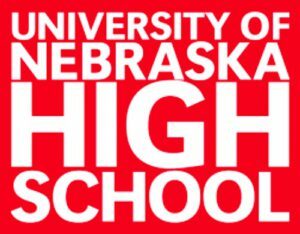 For over 87 years (online since 2001), this impressive online high school offered through the University of Nebraska has given students the knowledge, experience, and credentials needed for success later in life and in undergraduate degree programs. The curriculum serves students in all 50 states and in over 100 countries, and the University of Nebraska has connections that assist students across the world. These online students develop strong critical thinking and advanced problem solving skills, as well as self-reliance and leadership. Students of all ages are welcome at this distance education institution and will enjoy an inspiring educational experience. Students must complete at least 200 credit hours total for graduation in both the College Preparatory track and the General Studies track, which includes credit hours in eight subject areas. National High School provides 21st century technologies for online students to receive a rigorous and rewarding diploma through distance education. Coursework is designed to challenge individual students, and there are numerous channels and resources that can be taken advantage of to assist them throughout their experience, such as the in Enrichment Program and through the Learning Center. Classes are offered through Advanced or Remedial pathways and are instructed by extremely qualified teachers are constantly working toward improving their methods by which they connect with their students in the virtual classroom. Therefore, students receive the best possible education. National High School is a safe and enriching learning environment, where students can expect to be compassionately supported at all times. Students must complete a minimum of 24 credit hours in English, Mathematics, Science, Social Studies, Modern Language/FIne Arts, Health/PE, and Electives. The North Dakota Center for Distance Education strives to understand the current and future needs of students across the world. Students have full involvement with teachers and counselors throughout the educational experience, in a process-based learning approach. 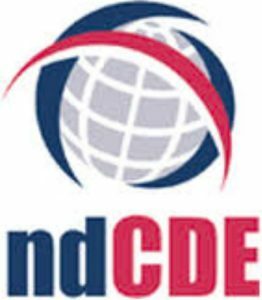 CDE believes that “intelligent use of educational technology can transform the effectiveness of student learning, teacher methods, and administrator decision-making.” The highly successful curriculum is a pastiche of teachers, schools, curriculum providers, software providers, parents, government officials, and citizens in partnership and association with the school. In this way, students have access to an incredibly inspiring academic community through the North Dakota Center for Distance Education! Students must complete at least 22 credit hours in English/Language Arts, Social Studies, Foreign Language/Fine Arts or Career and Technical Education, Science, Mathematics, Physical Education, and Electives. At the Virtual Learning Academy Charter School, students have limitless learning pathways to complete courses, projects, internships, travel experiences, and more! The dedicated staff is made up of certified teachers who work to establish positive relationships with individual students, and classrooms include students from numerous different states and countries. The middle school and high school diploma programs are designed to give students complete control of how and when they graduate, as the curriculum is highly flexible through full-time and part-time opportunities. VLACS believes that every student is unique and special, and provides the utmost diligence and respect to their needs and aspirations. Students must complete at least 220 credits in English, Math, Social Studies, Science, Fine Arts/Foreign Language, Health, Physical Education, Electives, and Senior Project, through a self-designed educational program. 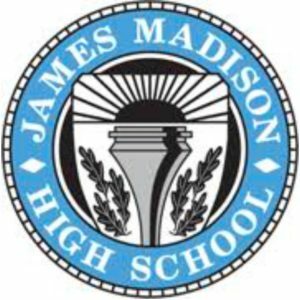 James Madison High School’s parent school is Ashford College, and is an excellent college prep resource for distance education students. Tens of thousands of individuals have graduated from this esteemed virtual high school program, helped by certified teachers who provide personalized academic support at all times and through all challenges. Ideal for students of all ages and in all walks of life, from adults to homeschoolers and traditional high schoolers. From the very beginning, individuals are paired with a learning advocate who acts as a personal mentor throughout their high school education. Career Services provides additional support inside and outside the program to anyone seeking employment opportunities. At JMHS, nothing is standing in the way of an excellent high school diploma. Students must successfully complete a minimum of 6 credits its at James Madison High School credits to be eligible to earn your diploma form our school. The General Diploma includes 23 credits. Penn Foster is a well-renowned career school that includes a reputable virtual high school diploma which connects students to numerous different career concentrations such as Carpentry, Healthcare, and Electrical work. The curriculum is perfectly suited for students who are looking to continue into college, the workforce, or the military. Individuals have access to a prominent Success Center that provides coaches, teachers assistants, and a dedicated help staff. All resources, teachers, and amenities are available to students 24/7 through chat, text, email, or phone, when problems occur from coursework challenges to budgeting and expenses. The curriculum is based around short lessons that are broken down to fit into various timeframes. Whether one is seeking an accelerated, standard, or extended study plan, the customizable nature of the program allows students to create manageable goals. The online high school diploma is made up of 21.5 credit hours, which includes a basic general education as well as career concentrations and electives. At the Keystone School, online students are closely engaged with faculty members throughout their education in programs and services that are designed to improve achievement. A huge amount of activity is organized by collective and individual participation, wherein students learn self-discipline, responsibility, and leadership skills with their peers and on their own. At Keystone, students, parents, faculty, and staff are all supported by strong resources that make the virtual educational community incredibly successful and close. Utilizing cutting-edge, industry-leading technology and technical support, Keystone delivers a “robust and highly interactive online teaching and learning environment.” There are many different and exciting programs and clubs that individuals can be a part of such as the Student Newspaper, the Book Club, and the Photography Club, which creates even more virtual connections between students and teachers across the world! Students must complete at least 21 credit hours for graduation. Transfer credits are applicable. 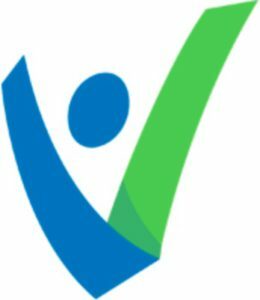 The International Virtual Learning Academy high school diploma curriculum meets and exceeds national standards in education, and serves students throughout the United States and the world. A strong mission and vision supports students success towards a high school diploma with career and college readiness. IVLA understands that there are innumerable ways in which individuals learn, and employs faculty members and staff that are prepared to approach each person’s unique learning style through over 400 innovative courses. There are seven different curriculum programs that students can explore in order to choose the perfect design for themselves.The virtual classrooms are enriching environments for exceptional and advance placement learners as well as remedials. This school is a place where students form important, meaningful relationships with others and learn to interact socially and linguistically, even when working entirely at a distance. 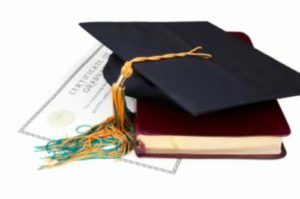 Depending on the chosen diploma path, there are varying credit requirements for graduation: Standard (20), College Prep (24), Honors (24), Career (22), S.T.E.M. (24). At Northstar Academy, students have access to Christ-centered coursework that is rich with spiritual emphasis, academic excellence, and personal experience. Here students will have virtual environment that allows them to grow in faith while receiving a top-of-the-line high school diploma. The school and its curriculum have been recognized repeatedly for their achievements in academia and strong success with students in grades K-12. Students have the choice of two pathways: the Virtual Program and the Enriched Virtual Program. The EVP connects students in an online classroom every week and gives them more accountability. The VRP allows for more freedom and self-motivation. This high quality online education is “facilitated by godly teachers who are inspired by their faith.” Coursework teaches students to be university and life ready and demonstrate competencies for successful living, communication, and academic excellence at the next level. Course Flexibility: Asynchronous, self-paced coursework with 24/7 accessibility. 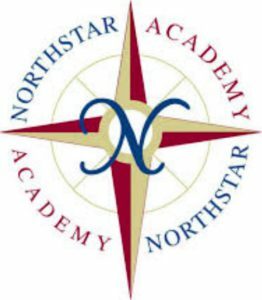 Students must complete 22 credit hours (Standard curriculum) or 24 credit hours (Advanced curriculum), with at least 14-15 credits earned from Northstar Academy. 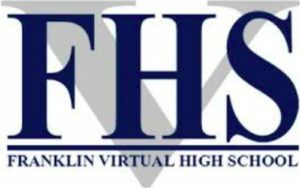 Franklin Virtual High School has been recognized in numerous ways for its online education, and offers one of the most comprehensive and affordable distance education diploma programs available. Students are provided with “matrixed teacher support” wherein advisors, homeroom teachers, and course instructors work together to provide the strongest platform for individual students. Parents play an active role throughout the curriculum and are a critical element in the educational process by monitoring their child’s progress and receiving grades and feedback. The curriculum is divided into the College Prep Program and the Career Prep Program, depending on what an individual student’s goals may be upon graduating from FVHS. The virtual classroom employs highly qualified teachers who use multimedia and interactive learning tools to engage and motivate their students to be the best they can be. Students must complete 24 credit hours for graduation in either curriculum concentration, and must also earn passing scores on the SAT and ACT. 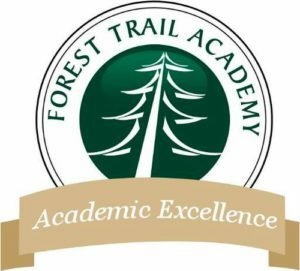 Forest Trail Academy is a popular online option for high school/homeschooled individuals, and has received many awards naming it as such, such as from Homeschool.com. 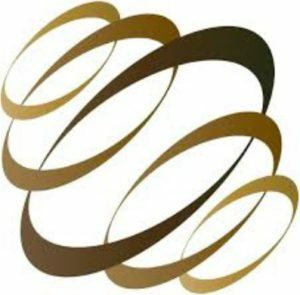 According to the school’s inspiring mission statement, the curriculum “provides innovate, academic, cultural, and pragmatic excellence by empowering future leaders of life-long learners in a holistic online environment worldwide.” The College Prep Diploma allows students to earn a high school diploma and college credits at the same time through the Dual Enrollment program, and is perfect for a wide range of individuals, including special needs children and children with disabilities or phobias, as well as advanced individuals! This degree is accepted and respected globally, giving students excellent opportunities in higher education and the job market. Course Flexibility: Self-paced; courses can range from 45 days to one year. Students must complete 24 credit hours to graduate, and at least 25% of their credits must have been taken at Forest Trail Academy. 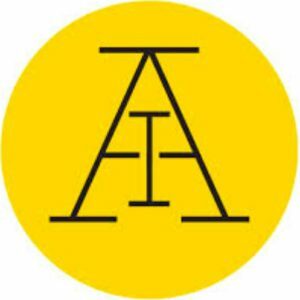 Highly ranked by numerous reputable resources as one of the finest online high schools available, the Christian Educators Academy offers a high-quality education to students across the world. 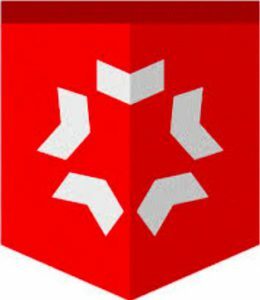 Utilizing two award-winning college-preparatory online curriculums today—Apex Learning and Pearson’s Gradpoint—students receive a strong and personalized array of coursework that reflects the needs and ambitions of individual students. There are a range of diploma tracks available for students of all kinds, and teachers are highly communicative and responsive at all times. Founded upon the teachings Christianity, this online school offers a spiritual, educational community for students of faith and academic excellence. CEA’s goal is to prepare students for both college careers and professional careers, despite their objectives, so that they have a broad range of options upon exiting their program. Glowing student testimonials endorse the strong and nurturing nature of this fabulous online school. Credit requirements vary depending on a students chosen academic pursuit: 26-28 credit hours for Honors and A/P students, 24-26 credit hours for College Prep students, and 24 credit hours for vocational students. 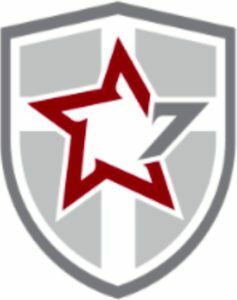 According to their inspiring Mission Statement, Sevenstar Academy intended to “provide outstanding online Christian education that instructs the mind and heart of each student.” Coursework exceeds current national standards, which communicates the strength of the school and the success of the teachers who teach students to think critically and ethically, utilizing both an understanding of academia and of the Bible. There re a huge range of courses, from Anatomy and Physiology to Art History, that explore the complexities of each discipline with depth and introspectiveness. Students can count on a loving, supportive Christian online community that will seem more like a family than a group of peers. Classes are visually stimulating and intuitive, making the technical aspects of the school easy to approach and manage. Students are in control over their schedule and they can meet with their professors at any time to address what ever thoughts or problems may occur. These students grow in faith and knowledge throughout their years at Sevenstar Academy. Students must complete at least 21 credit hours with a cumulative GPA of 2.0 or higher for the standard high school diploma, and at least 27 credit hours with a cumulative GPA of 3.5 or higher for the diploma with honors. Students must also achieve at least a 27 on the ACT and at least a 1210 on the SAT. This online school has been ranked and rated as one of the finest in the country by numerous reputable resources. The Christa McAuliffe School occupies a personalized education philosophy and goals that is designed around providing students with both independence and structure. Faculty members and instructors are not focused on churning out as many graduates as possible, but rather focus on the individual strengths and weaknesses of each person and how they can be polished and sharpened. This aspect of the curriculum allows students the freedom to find their own calling and, despite choosing a career path or college experience, graduates go into the future with confidence and life-long learning skills. This online high school has educated brilliant minds that have gone on to enter a wide variety of career fields and majors, and the environment is a nurturing and support space through which to gain a solid education. Students must complete a minimum of 24 credit hours for graduation. Excel High Schools is a part of a strong education systems district, and is well-accredited by impressive organizations. Students can fast track their education in coursework of all kinds that reflects the best practices and techniques of the time. This world-class, non-public college prep high school gives adult students and traditional students a highly strong education. Coursework offers interactive learning experiences that are individualized to give the most focused education possible, and which are, most importantly, fun! The school believes that keeping the classes entertaining and stimulating gives students more of a reason to continue their high school diploma program in a space where they feel welcome. Courses include videos, online exercise, and engaging learning resources. Excel has numerous opportunities for students to expand their level of understanding through the many different resources and organizations provided by the school, which has successfully educated thousands! Students are required to complete at least 24 credits for the College Preparatory Diploma, 21 credits for the Standard Diploma, and 18 credits for the General Studies Diploma. This online high school is an impressive example of the industry as a whole. Coursework is professional and challenging and highly enriching. The program gives students the feel of a traditional high school classroom experience, and expects that each individual will us their best attitude and work ethic. Over the years, NCVPS has experienced an over 300% growth in enrollments since its founding, and as many as 58,000 students have been enrolled at one time, which is made up of students of all kinds. There are over 600 teachers, each of who are exceptional professionals and are well-trained in both their discipline and in delivering a strong high school education online. Offering over 150 courses each year, there are a huge amount of honors and AP classes, as well as standard courses to choose from. 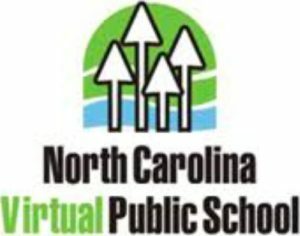 Lastly, NCVPS maintains strong partnerships with teachers and industries to give the classes an even more robust feel to them, so that students gain the most practical and influential diploma possible. Students are required to complete all of the coursework required in the standard diploma which includes both electives and required courses. This online Florida high school has a well-structured foundation through impressive learning technologies. 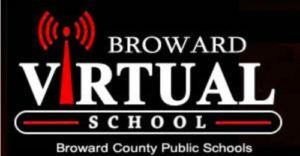 Students form close, personal connections with successful faculty members who have “the highest successful student completion rates in the state.” An award-winning virtual academic K-12 institution, Broward is a recipient of the International Association for Online Learning Outstanding Online Learning Practice award. There are numerous exciting opportunities for students to expand their education through extracurricular actives and clubs such as the National Honor Society, the Florida Future Educators of America, and more! One of the most celebrated high schools in Florida, Broward has received state recognizant as well, setting apart from many options available for both traditional and homeschooled students who are seeking a distance education. Students are required to complete the Florida state public school graduation requirements, which BVS provides. According to their strong mission statement, K12 International Academy is committed to giving each student an outstanding, individualized education that is well-suited to all types of students. Coursework involves interactive, hands-on materials that drastically expand one’s ability to grasp difficult concepts and have an active and exciting education. There are many different clubs and outside activities that bring students even closer together, and parents play a strong role throughout their child’s online schooling. International students have the chance to earn an Advance Placement International Diploma that is a globally recognized certificate provided by the CollegeBoard for achievement on AP exams. With full and immediate access to teachers, faculty members, and counselors, students can take comfort in an incredibly supportive virtual academic environment. Students are required to complete at least 24 credit hours to graduate.